I am so excited to show you ways to get even more out of every Chalk Couture Transfer! I like to find ways to multipurpose – repurpose and reuse each and every one of my designers with Chalk Couture Transfers. 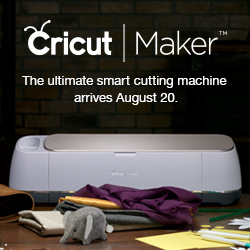 Make sure you come back TOMORROW – we have a very special Cricut video to share with you AND 12 Days of Giveaways start THIS Friday!! I can’t wait!!! Everyday starting Friday November 23 we will have a new Tutorial and Giveaway for you!